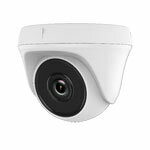 The THC-D220 is part of the HiWatch Series by Hikvision. The THC-D220 has a 2.8mm lens which provides an angle of view of 105.8 - suitable for many applications. 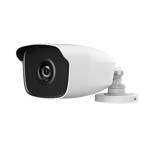 On top of this, the camera is IK10 Vandal rated so is suitable for high risk areas. When installing this camera outdoors, as with all domes, you need to protect the glass dome from the elements or else you might have night vision issues everytime it rains. So either install the camera so it is covered from rain, or try the wall mount brackets so the dome is facing down instead of outwards. Important Note: This is a 2 Axis camera, this means the camera is ideally suited for being mounted on a ceiling - if you need to mount the camera on a wall it is advised you use the DS-1272ZJ-110 Wall mount bracket. 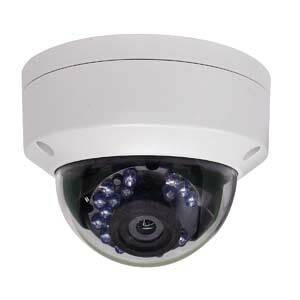 If you do not use the wall mount bracket the camera will only be able to point directly forward when mounted on a wall.